To take advantage of the special rates for this conference, please be sure to book your tours by June 21, 2019. Please note that after that date, tours will be subject to an availability. 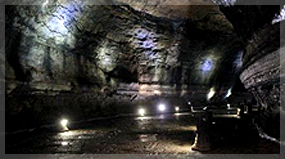 There is a minimum number of participants for each tour, so tours will be confirmed after deadline. If the tour is confirmed, tour fee will be charged to your credit card submitted upon reservation with a prior notice. Tour meeting point & time will be finally informed after payment. Tours are subject to change or cancel, if the number of participants fails to reach minimum number of 10. The above itinerary is subject to change according to the local circumstance. In case of cancellation, the travel agent will contact you individually. Any request for change or cancellation should be notified by e-mail. Mt. SongAk Mt. Songak is a simple volcano on Jeju Island which has double craters and a parasitic volcano. From Sanyisu-dong to the summit and ridge of Mt. Songak there are various trails along the coast and on the volcano. Mt. Songak is one part of olle road route 10. O’sulloc Green Tea Museum At the O’sulloc Museum, not only can visitors enjoy unique o’sulloc teas, but they can relax next to the lotus pond in the indoor garden. The second floor of the building has an observatory, so visitors can enjoy the views of the nearby green tea fields and the surrounding landscape. The Spirited Garden The Spirited Garden is one of the major tourist attraction sites on Jeju Island and listed as one of “the most beautiful gardens in the world,” is set to open its long-awaited “Secret Garden.” Also, it’s a place where you can relax and meditate while communing with nature. Suwol Peak Suwol-bong is the island's western most spot. As such, it provides an excellent view of sunsets. Locals say that on a clear day you can see China. However, the days just never seem to be quite clear enough when tourists are around. Hyeopjae Beach Hyeopjae Beach is one of the popular beaches in Jeju island. Jeju Stone Park Jeju Stone Park is an ecological and cultural park that displays the history of stone culture pivotal to the history and culture of Jeju Island. Following the exhibition pathway, visitors will find stone sculptures such as Grandmother Seolmundae and Five Hundred Generals and traditional local thatched-roof houses amidst the forest. Seongup Folk Village Located at the foot of Mt. Halla on Jeju Island, Seongeup Folk Village is a small town that holds a vast amount of culture. 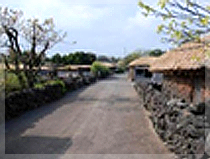 The Seongeup Folk Village shows the unique culture of Jeju Island: the black lava rock walls, and the stone grandfather statues (Harubang), which have become a prime feature of the landscape. Jeolmul Natural Forest Resort This thick forest is preserved for the welfare of the public by providing a place for relaxation and recreation. Enjoy a stroll in the woods that will re-energize your mind and body. Jeju Horse Pastureland Jeju horse pastureland was chosen as one of the Ten Scenic Sights of Yeongju. The vast grassland of the horse pastureland is also known as one of the top ten must-see sites in Jejudo Island. 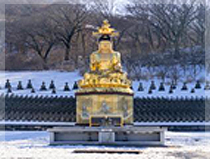 Gwaneumsa Temple Gwaneumsa Temple is located at the foot of the northeast side of Mt. Halla in Ara-dong in Jeju City. 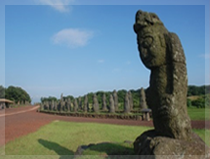 There are many tourist spots near the temple such as a wooden seated Buddhist goddess statue that was designated a tangible cultural asset of Jeju-do in 1999. Kimchi Making Kimchi Making starts with a general overview of kimchi followed by kimchi preparation and kimchi sampling. About an hour in the length, the program introduces you about kimchi, and after you’ve finished preparing and seasoning your kimchi, you’ll get to reward yourself by sampling the kimchi along with rice and steamed pork. Jeolmul Natural Forest Resort Jeju Jeolmul Natural Recreation Forest in Jeju Island is located northeast of Hallasan Mountain. Jeolmuloreum is famous for its beautiful Japanese cedar forest. 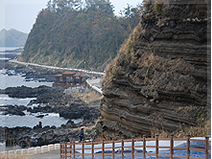 Jeolmuloreum is about 697m high above the sea level and created by volcanic activity. The peak of Jeolmuloreum boasts amazing view. 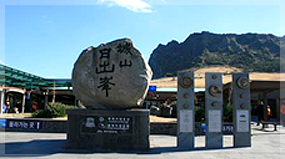 It is even possible, during the clear weather, to see Ilchulbong Sacred Mountain. Seongsan Sunrise Peak Kimchi Making starts with a general overview of kimchi followed by kimchi preparation and kimchi sampling. About an hour in the length, the program introduces you about kimchi, and after you’ve finished preparing and seasoning your kimchi, you’ll get to reward yourself by sampling the kimchi along with rice and steamed pork. Eco Land Theme Park Eco Land Theme Park is built in the 1 km² Gotjawal primeval forest. 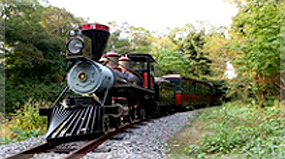 Visitors can explore around in a train that looks like 1800’s steam powered Baldwin train. 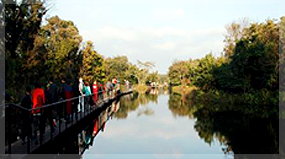 In the large Gotjawal forest with railway trails, visitors can see a variety of plants, animals, while touring around by the special train. There are many things to enjoy including Eco Bridge, Hovercraft, Eco Windmill, Picnic Garden, Eco Road, Bare Foot on Scoria, Floating Café, and topiary art works. Hamdeok Beach The clear waters that are highlighted with cobalt-blue and the clean sand of Hamdeok Beach steal the hearts of visitors every year. The beach is popular with fishermen who enjoy rope fishing from the rocks. This area is known to be good for catching striped beakfish and spotty belly greenlings.